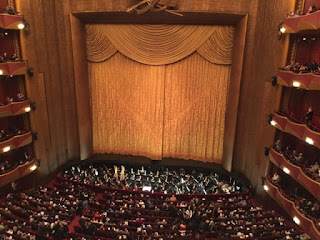 Watching Opera is probably not my cup of tea but I certainly enjoy it. Last week I managed to sneak out of my never-ending meeting and headed to the Metropolitan Opera in Lincoln Center to watch Turandot. Have you heard of Turandot before? Frankly spekaing, the first time I heard about it is when I got the ticket :). 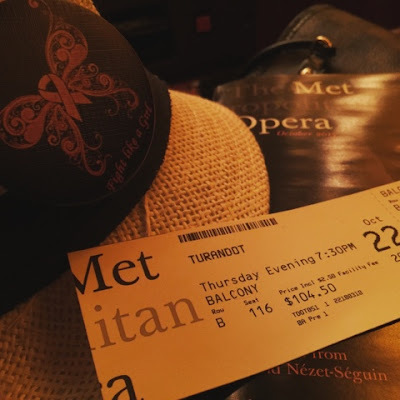 And this 3-act opera written by Giacomo Puccini is awesome. It was a great performance indeed, truly a feast to my eyes and ears. All are so brilliantly showcased. Although it is in Italian, thanks to the running text, I can easily follow this love story. the poster outside of the Theater..
the wall of fame...some of the pictures of the famous artists .. 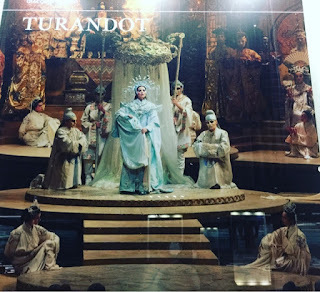 So, all in all watching Turandot at the Metropolitan Opera is really a great experience. 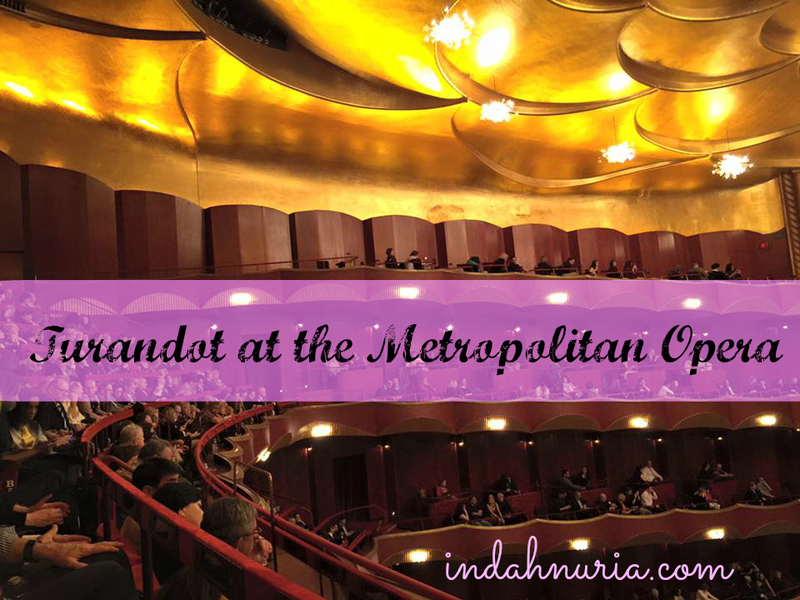 Have you seen opera before? The poster sure does make it look like a wonderful show! How fun it must have been. I know Alissa.. You should see the show.. OMG.. The voices and their costumes.. The stage.. So divine..
Glad you enjoyed yourself! 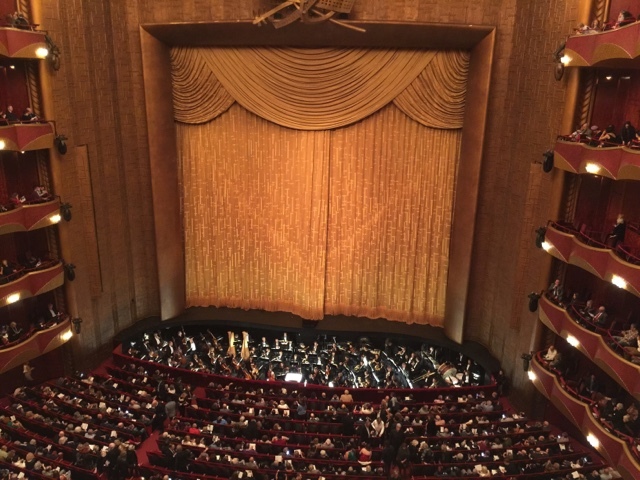 I have never been to the opera, but I think it's something I would like to experience at least once in my life. 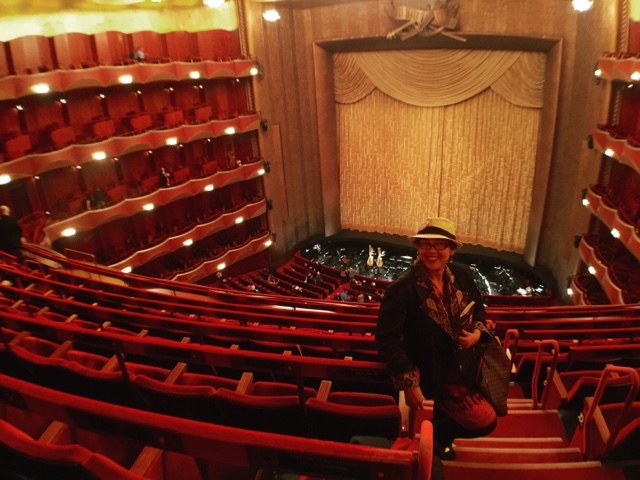 I don't go to the opera but my mom used to go a lot with my dad. I would love to meet up with you in November. Just send me an email and we can meet up. If you visit my blog then you can use the contact form and we can work something out. Wishing you a wonderful day and thanks for all of your lovely visits. Will be in touch with you, Julie.. Cheers..
That sounds like an awesome show. What a great experience.